Abstract: Musculoskeletal manifestations of infective endocarditis are well-described in the literature. 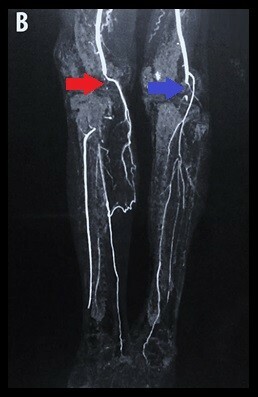 However, insidious onset of localized calf pain is an uncommon presentation of embolization and may represent a diagnostic challenge owing to the nonspecific nature of the symptoms. This study reviewed the literature and reports a case of infective endocarditis in a patient who presented with bilateral calf pain as the primary complaint and reason for seeking medical attention.